Once we had determined the requirements for the 2018 NeoCon display tables, our design team, engineering department, estimators, and project management team collaborated to bring the tables to life. Engineering - Focused on the structural requirements of each table to ensure functionality and stability. 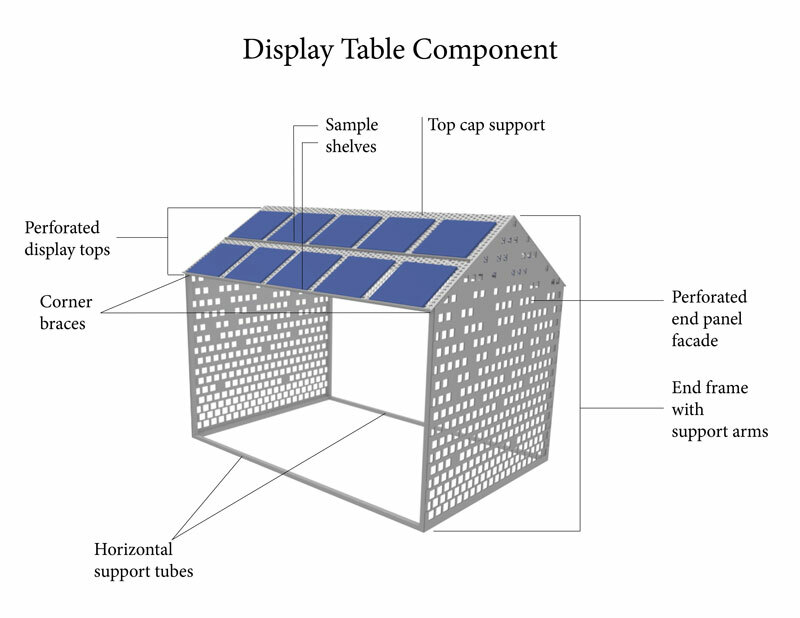 The end result was a reusable, yet appealing, display table that was able to show a large number of samples at an optimal height. Accurate has the ability to custom manufacture a display that fits your requirements, like a point-of-purchase display, merchandiser, or retail fixture. Come to us with just a concept or a fully developed product. We can work with you at any stage.